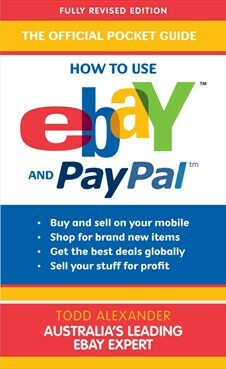 The easiest guide available to buying and selling on eBay and using PayPal safely and efficiently - it's the only one for the Australian market endorsed by eBay and PayPal. Using your mobile to buy and sell on eBay. The eBay chapters are packed with tips for using the site more effectively and safely. Major chapters include: Registration, Safe Trading, Buying and Selling. The PayPal chapters clearly explain what PayPal is, why it is among the safest payment methods on the net, how to register, how to send and receive money, and what to do in the event that something goes wrong with a transaction. As more Australians now visit eBay than ever before, this helpful guide, written in a user-friendly style, is the must-have book for anyone looking to save money or make extra cash online.